Located at the intersection of Asia and the Middle East, Afghanistan has been strategically important for thousands of years. Its ancient routes and strategic position between India, Inner Asia, China, Persia, and beyond has meant the region has been subject to frequent invasions, both peaceful and military. As a result, modern Afghanistan is a culturally and ethnically diverse country, but one divided by conflict, political instability, and by mass displacements of its people. In this magisterial illustrated history, Jonathan L. Lee tells the story of how a small tribal confederacy in a politically and culturally significant but volatile region became a modern nation state. "A comprehensive history of a storied nation held together by an alliance of tribal and political groups that threatens to dissolve at any moment. . . . Anyone seeking to understand a complex, even bewildering part of the world will benefit from Lee’s careful account." "The task of crafting a coherent narrative out of such disparate material, much less making that narrative of genuine interest, is obviously daunting, and one of the many low-key marvels of this book is how often Lee manages to succeed. This has every indication of being the twenty-first century’s standard English-language history of Afghanistan: it’s richly detailed but not simplified, keeping up a fast pace without ever sacrificing fine-grained detail, fit to occupy the same shelf as Abbas Amanat’s magisterial 2017 history of Iran . . . Afghanistan is a parade of richly-realized personalities: sultans, colonial opportunists, visionaries, and the embattled present government figures are all presented here with a startlingly refreshing humanity." 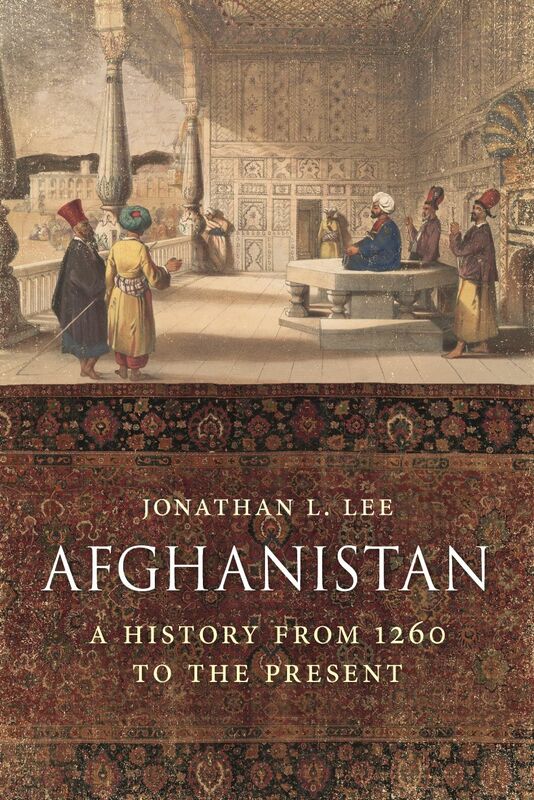 "An exhausting march. . . . Lee has spent a lifetime studying this troubled region, and his account of Afghanistan’s history is almost dizzying in its power shifts and conflicts. . . . [An] epic story." "Lee’s well-written book is rich in rewarding detail and will be essential reading for anyone interested in the history of Afghanistan." "An epic achievement: at once a model of clarity, accuracy, and balance and a testament to Lee's learning and life-long erudition in Afghan primary sources. Authoritative and remarkably comprehensive, it deserves to become the standard English-language history of Afghanistan." "This is the most comprehensive available history of power and politics in Afghanistan, from the medieval period to the present. The narrative spans a millennium of history, from the Ghaznavids to Ashraf Ghani. It deliberately locates the roots of modern Afghanistan in the succession of Muslim entities that developed military power, government, and civilization in northern India and on either side of the Hindukush. There are detailed treatments of issues from the 'classical' right up to contemporary Afghan affairs which includes the consequences of aid to the anti-Soviet mujahideen, the roots of the Taliban movement, the inadequacy of the Bonn Agreement as a basis for peace, Islamic identity and the state, and militarization of humanitarian assistance and governance reform and corruption. This work is an encyclopaedia of the ways in which the past helps shape the ideas and possibilities of the present." Chris Wyatt, University of Birmingham, author of "Afghanistan in the Defence of Empire"